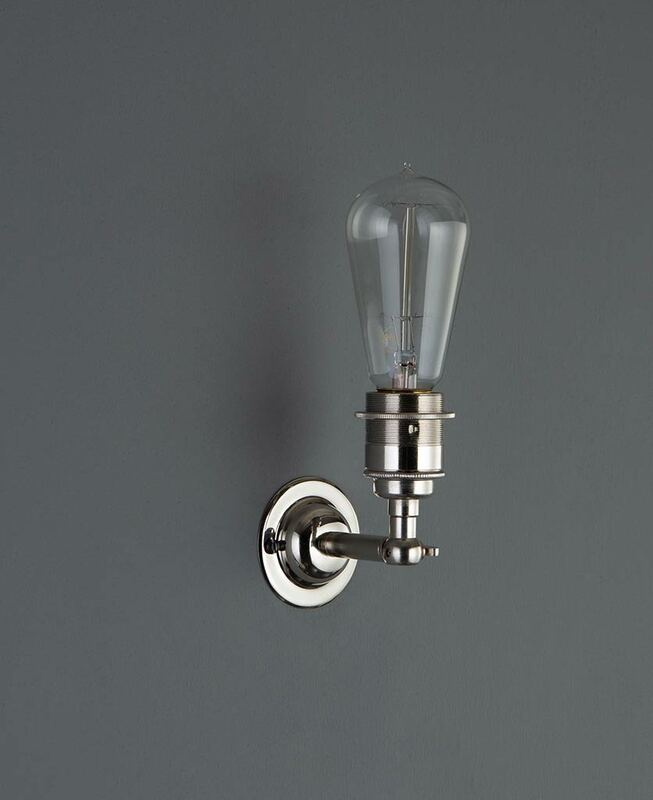 Our Manston wall lights are more wall sconces really. Beautiful lights that are perfect for adding a touch of charm to any room. Use it as an up-light or down-light. With a shade or without. Versatile is the word but if you’re going without, be sure to pick up one of our filament LED bulbs to put in it. 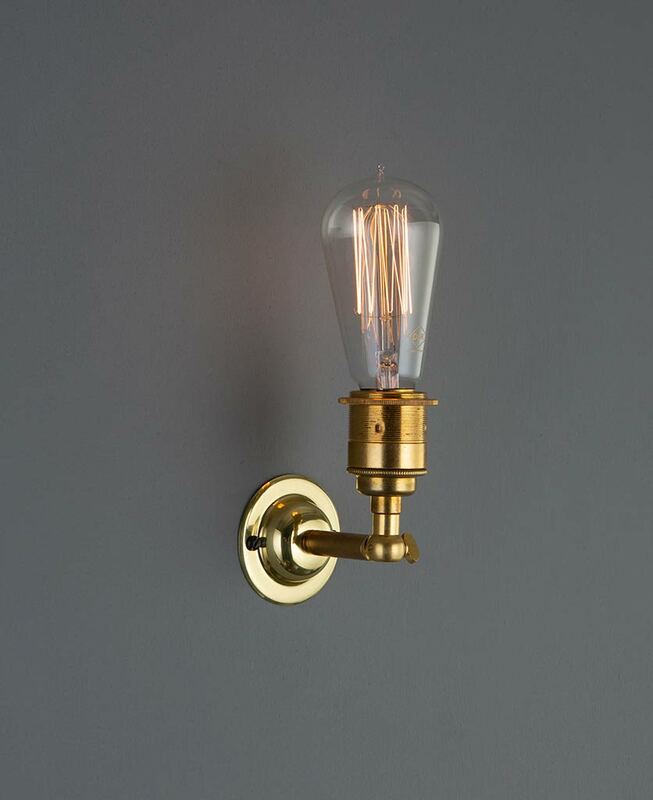 The Manston wall light can be fitted so that your vintage light bulb faces up or downwards and the adjustable ‘knuckle’ allows you to refine the positioning even further. It also comes with a shade ring just in case you want to add a lampshade – an opaque white glass shade would lean your light toward the art deco. We love this Manston vintage metal wall light used as an uplighter in a dining room. Fit gorgeous vintage light bulbs to create a convivial, relaxed atmosphere conducive to good conversation and good times. Our versatile wall light comes with a lampshade ring and wall fixing kit. You have options with this light; it can be fixed as either an uplight or a down-lighter and also features an adjustable knuckle so it can be angled up to 90 degrees. 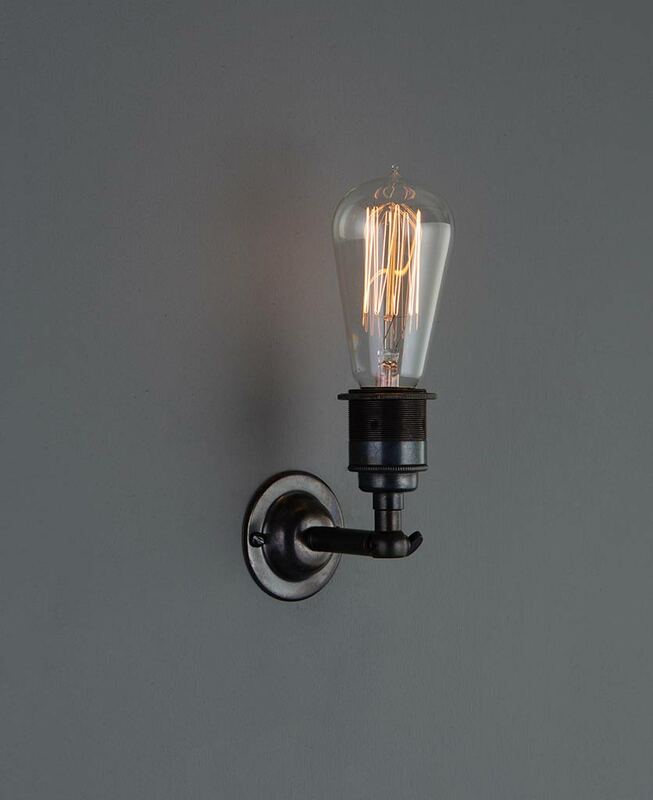 The electrical fittings for this light will need to be concealed within your wall or, you could use a conduit ceiling rose.